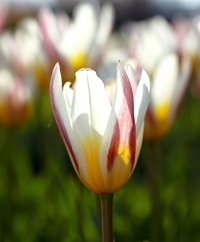 Also known as Water Lily Tulips, Kaufmannianas are colorful, low-growing tulips perfect for rock gardens and border plantings. 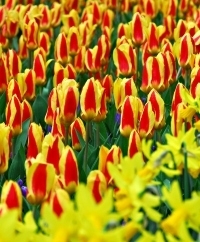 Some varieties have beautiful mottled foliage while all open fully on sunny days to reveal multi-colored interiors. They may naturalize for years when left undisturbed in a good spot. 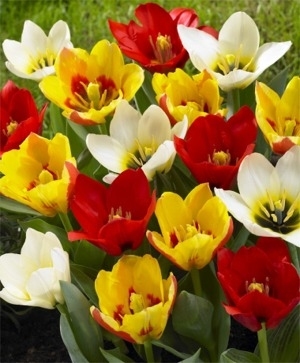 Top size bulbs: at least 12 cm. Bloom time: early Spring. Plant 6" to 8" deep and 6" apart. Horticultural zones 3-8. Height: 8" to 14".